1. g is a vector quantity and the SI unit for g is N kg-1 (or m s-2). 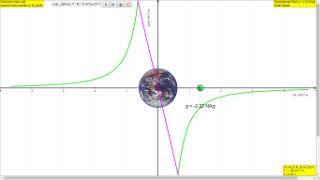 g is + when the test mass is on the left of the source mass Earth and g is - when the test mass is on the right of the source mass Earth M. In other words, the sign +/- depends on the direction (test mass on the left/right of Earth). Another way to visualize this is to look at the magenta color data line. 2. The symbol chosen for the gravitational field strength is ‘g’. 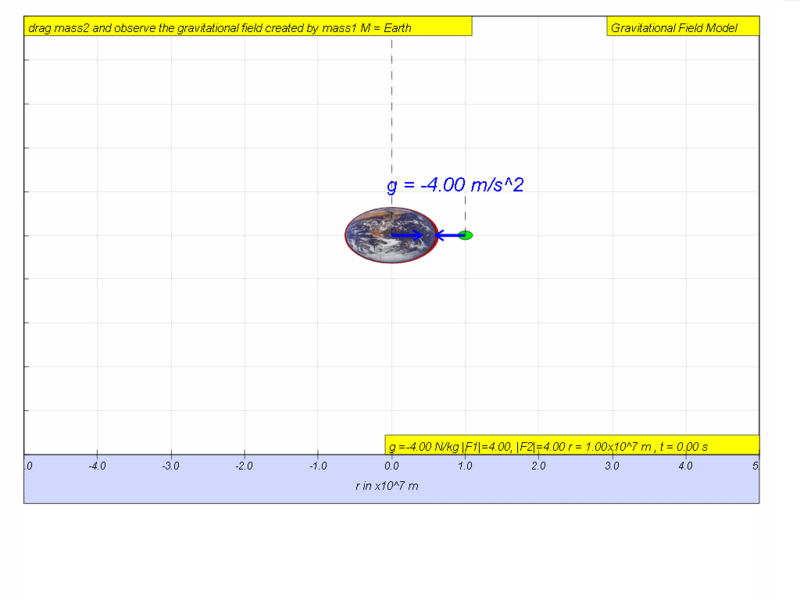 So far, in kinematics, we have been using g to represent the acceleration due to free-fall on the Earth’s surface which has the value 9.81 m s-2. 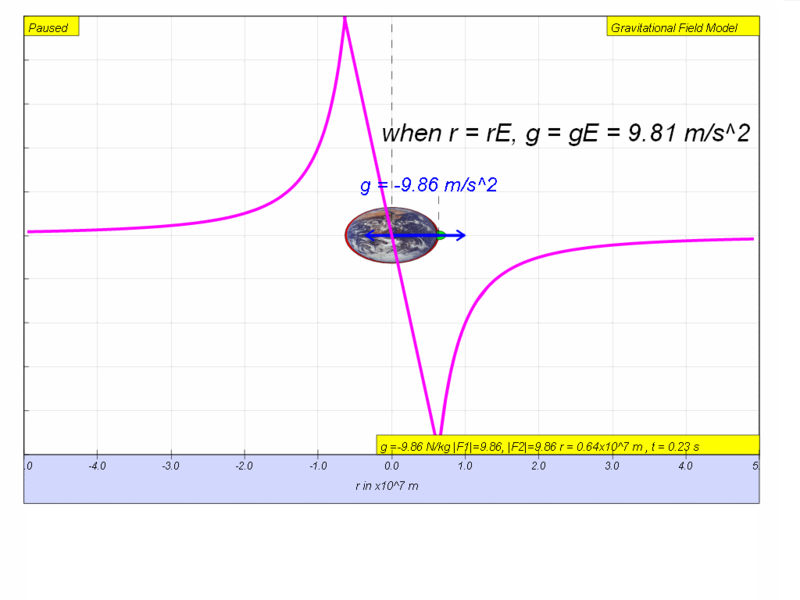 But the generic gravitational field strength ‘g’ is not necessarily 9.81 N kg-1 (which is the value of g on Earth’s surface). 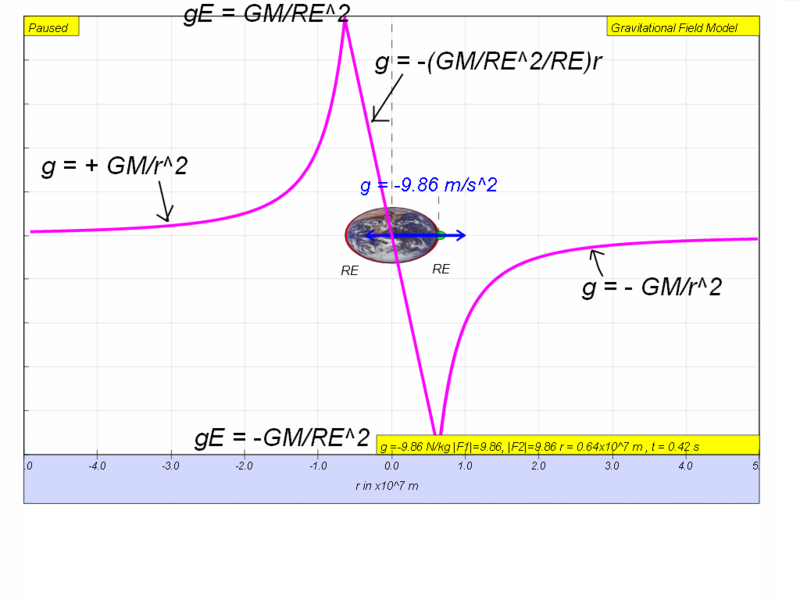 Its magnitude varies with distance r and mass M according to g = - G M r 2 . To avoid misrepresentation, we will use the symbol, gE to specifically represent the gravitational field strength at the Earth’s surface (ie gE = 9.81 N kg-1). 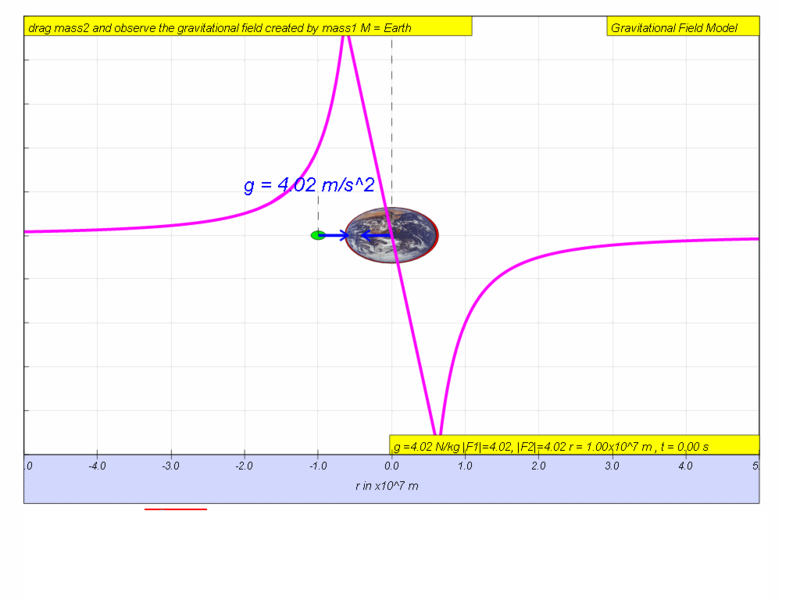 Test your understanding of the various parts of the gravitational field strength using the model builder. While images paints a thousand words, a moving image would paint even more words. can it work on the students' devices, supporting learning anytime anywhere?